Baptist Health Medical Center-Heber Springs has been committed to serving Heber Springs and surrounding communities with a complete range of medical services and support groups since opening in 1968. The hospital became part of Baptist Health in 1996 and was relocated to a new location in 2007. The facility includes an expanded emergency department and operating suite, centralized outpatient clinic, in-house MRI services, two covered entrances, a large cafeteria and updated inpatient rooms. Free wifi is available. To better serve the healthcare needs of the community, Baptist Health Medical Center-Heber Springs hosts a variety of clinics that provide specialized services on a scheduled basis. Baptist Health Medical Center-Little Rock's revolutionaryeICU provides 24-hour access to an ICU physician and nurses via two-way interactive technology, who assist with patient care in our intensive care area. Baptist Health Medical Center-Heber Springs continues to make an impact on surrounding communities through conveniently-located therapy centers and family clinics, such as Baptist Health Family Clinic-Heber Springs, Baptist Health Family Clinic-Greers Ferry, Baptist Health Family Clinic-Pangburn, Baptist Health Family Clinic-Fairfield Bay and Baptist Health Therapy Centers in Fairfield Bay and Heber Springs. CASA of the 16th Judicial District, Inc.
CASA of the 16th Judicial District is a non-profit organization, which advocates for the best interests of abused and neglected children within the court system. Based on the belief that children are entitled to a safe and permanent home, CASA works in the court system through trained volunteers, in collaboration with key agencies, legal counsel and community resources to serve as the child's advocates and represent the child in juvenile court. We provide screened, trained and supervised volunteers who speak up for the needs of children, one child at a time. CASA volunteers, each as an independent voice, advocate for the best interest of abused and neglected children involved in juvenile court deprivation proceedings. Five children in the United States die from abuse or neglect EACH DAY. Our advocates are appointed by a juvenile judge to ensure that the neglect that has been inflected on them by their care givers does not continue at the hands of the system that is set up to protect them. We serve children in Cleburne, Independence, Stone, Izard and Fulton Counties. There are over 400 children taken into care each year in these counties. We are in need of volunteer child advocates and board members to reach our goal of serving ever child in our district. Please contact us to volunteer. Cleburne County Cares, Inc. (CCC) began operations in December 1986 as a non-profit, all volunteer organization. The CCC mission is to provide a central place to respond to human crisis through cooperation and coordination of caring persons and community organizations. Also, to provide food, shelter, clothing, medicines, and educational opportunities for those in crises in order to improve the quality of life and help maintain the dignity and hope for the future for the people in Cleburne County. THE DAV IS A NON-PROFIT WHOSE SOLE PURPOSE IS TO ASSIST VETERANS AND THEIR FAMILIES IN OBTAIN ALL BENEFITS AND SERVICES AVAILABLE TO THEM. WE ARE ALL VOLUNTEERS PROVIDING COUNSELING AND ASSISTANCE IN OBTAINING THESE BENEFITS THROUGH THE VETERANS ADMINISTRATION (VA). WE REPRESENT VETERANS DURING CLAIMS PROCESSING AND HOLD MONTHLY MEETING TO UPDATE ON ITEMS AFFECTING ALL VETERANS. DAV CHAPTER #57 OR G.P. HOUSTON MEMORIAL MEETS THE 1st THURSDAY OF EVERY MONTH AT 714 W. SCOTT ST. (the Breakin Bread building) at 10 a.m. While we absolutely love the historic charm of our downtown commercial district, it is the wonderful people who live here and the many visitors who choose to spend their time with us that make our home so special. Every dollar you spend with our downtown merchants supports our district, and we thank you. 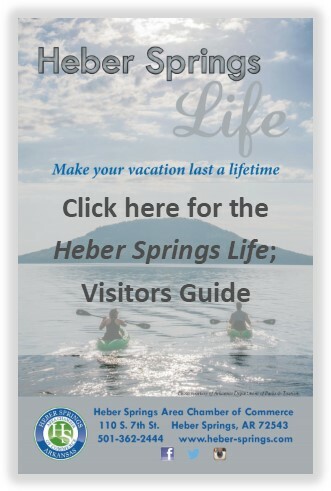 The Heber Springs Downtown Network is a 501(c)3 nonprofit organization whose mission is: Promoting economic vitality while preserving the charm of Historic Downtown Heber Springs. 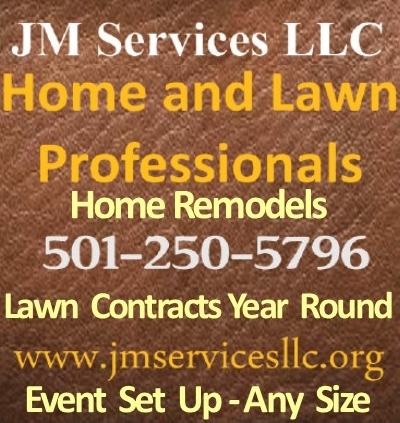 We utilize Main Street Arkansas' Four-Point Approach to accomplish our mission. Learn more about the Four-Point Approach and our parent organization by visiting Main Street Arkansas. Fairfield Bay Community Club, Inc. Gospel Garage Automotive Ministry Corp.
Greers Ferry Lake Trails Council, Inc. 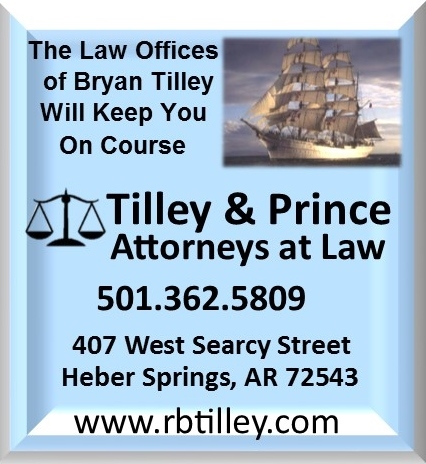 The Heber Springs Area Chamber of Commerce works to promote and grow business while enhancing the community.